Pharmacy-run stop smoking services provide access to help and support as well as advising on the best smoking cessation aids for your needs, these include Nicotine Replacement Therapy (NRT) which has been proven to double and even triple your chances of quitting successfully. Online pharmacy services can provide quick and easy access to the aides that you need, delivered directly to your door. Nicotine is a drug that stimulates the brain. When a regular smoker attempts to quit they experience withdrawal symptoms caused when there is a fall in the blood level of nicotine. This can result in feelings of irritability, restlessness, anxiety and hunger. Nicotine Replacement Therapy (NRT), available in the form of nicotine patches, tablets, lozenges, gum and nasal sprays, can be very effective in easing the symptoms. NRT works by replacing some of the nicotine you would otherwise be getting from smoking tobacco. Prescription medication Champix, has been shown to be very effective in helping some patients to quit for good. 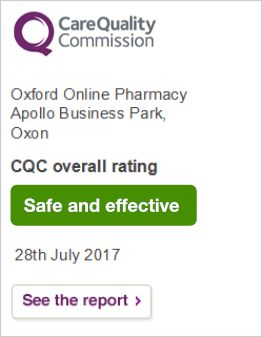 This is available through www.oxfordonlinepharmacy.co.uk following the completion of an online health questionnaire and its successful review by one of our online doctors. Other options include over the counter aides such as Niquitin Patches and Nicorette gum. In spite of the fact that smoking rates have more than halved since 1974, there are still around 10 million adult smokers in the UK and, of these, more than 100,000 die from smoking related causes every year. Everyone knows that smoking is bad for your health, but how does stopping smoking improve your life? According to Action on Smoking and Health, surveys show that about two-thirds of current smokers would like to stop smoking. High profile campaigns such as Stoptober are aimed at providing the necessary support to help them quit – for good. Research suggests it takes an average of 30 attempts before smokers successfully quit so the saying ‘don’t give up giving up’ really does ring true. The good news is that there is plenty of support available, if you know where to look. The Smokefree National Helpline (0300 123 1044) provides access to trained, expert advisers if you want someone to talk to and there are many national support websites including: www.quit.org.uk and www.nhs.uk/smokefree where you can get inspiration. For face-to-face support, local pharmacies are a great resource, with no appointment needed, services on every high street and availability 6-7 days a week. No one said it would be easy but, with a little help, you can quit for good. Q: How quickly after giving up will I begin to see the benefits? A: Stopping smoking takes determination and effort but it is worth it. The lungs, heart and circulation all start to heal the moment you quit and studies have shown a direct impact on life expectancy - quit at age 60 and your life expectancy can increase by three years, quit at 30 and this figure is closer to 10 years. Q: How many times on average does it take to quit? Q: Are any smoking cessation products better than others? A: Nicotine Replacement Therapy (NRT) has been proven to double and even triple your chances of quitting successfully. Q: What forms does NRT come in? A: Nicotine Replacement Therapy (NRT) is available in the form of nicotine patches, tablets, lozenges, gum and nasal sprays, and can be very effective in easing the symptoms. NRT works by replacing some of the nicotine you would otherwise be getting from smoking tobacco. Q: What is an e-cigarette and how does it work? A: An e-cigarette is a battery-powered device that converts liquid nicotine into vapour, which is inhaled by the user. E-cigarettes do not contain all of the harmful chemicals associated with smoking tobacco cigarettes, such as carbon monoxide and tar. Q: Why is it so hard to quit smoking? A: Nicotine is a drug that stimulates the brain. When a regular smoker attempts to quit they experience withdrawal symptoms caused when there is a fall in the blood level of nicotine. This can result in feelings of irritability, restlessness, anxiety and hunger.